Homeowners are always looking for ways to keep their energy costs down without sacrificing how comfortable they feel inside their homes. 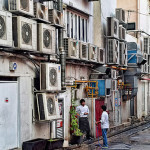 The air conditioner is a vital piece of equipment that can make your energy bill soar if left unchecked. This is generally the case in the summer months when the weather is warmer and the days are longer. 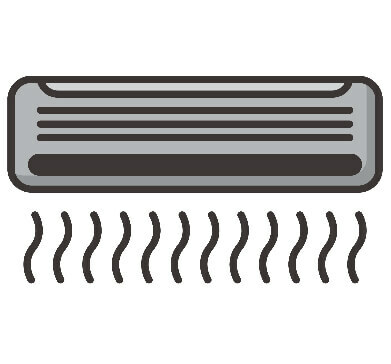 During those months, the AC unit usually runs non-stop to beat the heat. Air conditioner maintenance is a simple yet effective process that can curb the amount of money you pay to the power company. Each year that your air conditioning unit does not receive maintenance results in a 5% efficiency loss. This might not look like much but over time the unit’s performance will diminish. When you schedule maintenance for your unit, you can save up to 25% off your energy bill as the unit will be running smoothly. Cleaning the filters on a monthly basis ensures that any accumulated dirt and debris is removed so that the unit can function properly. If the filters need to be replaced, use only genuine or high-quality filters that are designed for your system to guarantee durability, thus saving you money over time. Air conditioner maintenance not only saves you in the short-term but also extends long-term savings. There will be a smaller chance of the unit breaking down any time soon, reducing the likelihood of the need to replace parts.Scheduled maintenance also plays an important role in making sure that the system is free of any accumulated debris and dirt that can clog and hinder air flow through the system. 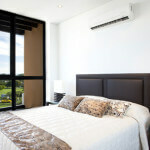 Obstructed air vents and filters cause your system to work extra hard to cool your home, sending up your energy costs. Keeping on top of the maintenance schedule will guarantee that your unit always works properly and lasts a long time. You will then have time to plan and save for a new unit, should the need arise. In addition to the monetary savings that come with a well-maintained system, you are also guaranteed comfort. Everyone in your household will have the peace of mind that comes from knowing the unit is reliable and will not suddenly breakdown. Scheduled maintenance should never be missed, especially before the beginning of the spring and summer months. By so doing, you will avoid making unnecessary payments for repairs right in the middle of the heat and you and your family can live comfortably in your cool home. Air conditioner maintenance should be an integral component of your home maintenance and repair budget. Locate an experienced contractor who can get the job done well. He will make the necessary repairs after inspecting the unit and provide appropriate suggestions to keep it running smoothly. 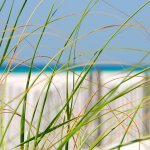 What Ocean Air Does to Your HVAC System?